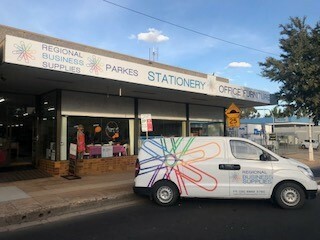 As a family-owned and run business, Regional Business Supplies strives to provide all your office and business needs. We're more than meets the eye. Yes, we provide great prices on all our stationery and furniture, but we also stock a wide range of other products. Catering supplies, cleaning chemicals, plastic and paper bags, a wide party range, and so much more! Why not pop in today and check it out?